Teaching Theatre: What does it involve? So our Teaching Theatre program has brought together a group of young people from Oldham to create Fresh Faced Theatre and that’s all well and good, but what does that actually mean? What does being a part of the group actually involve? Here is a word from three members of Teaching Theatre’s Fresh Faced Theatre on what they have been up to in today’s session. 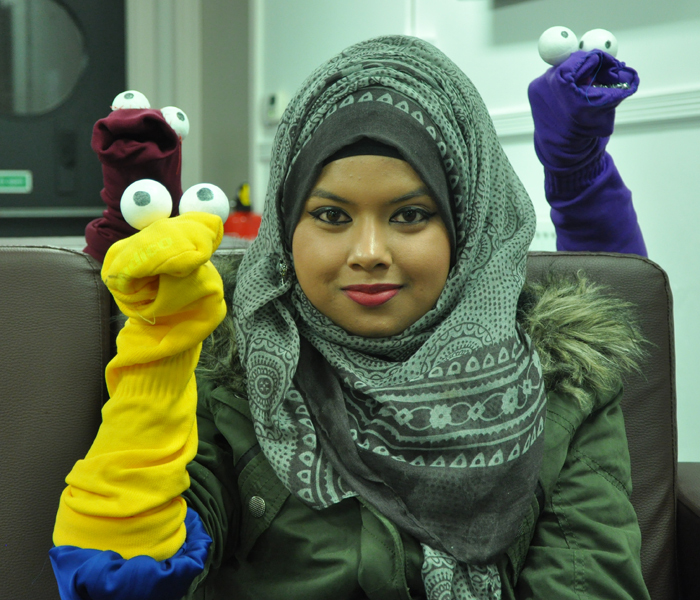 Hafiza: I’ve been making the puppets focusing on the mouths so they are stable and easy to operate by the actors. They will hopefully all be done by next week and the I can finish the set design. 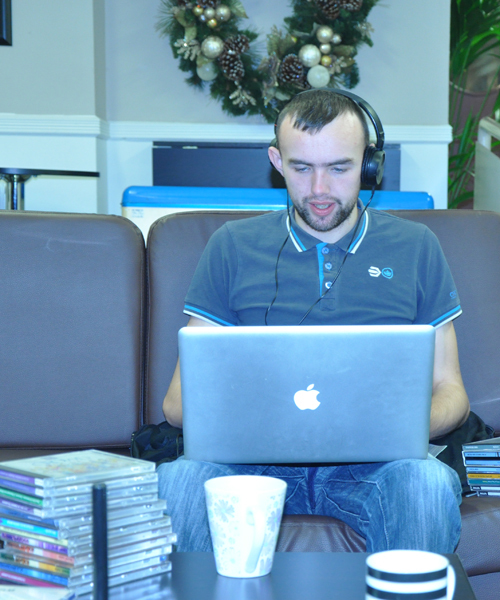 Martyn: Today I have been working through a variety of CD’s to try and find the perfect sounds for the show provided by the wonderful Lorna. 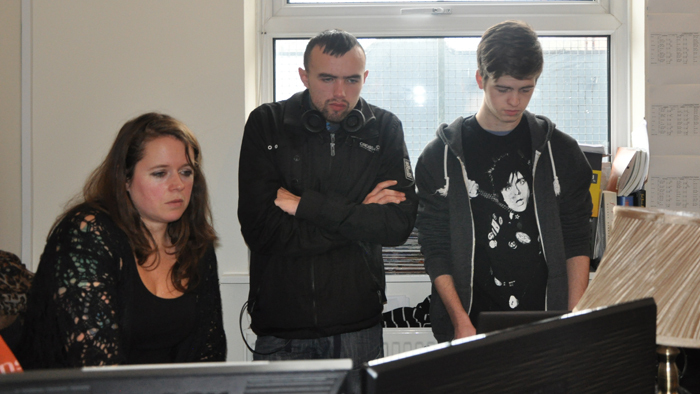 Jack: Today I continued working on the poster for the show and the logo for our theatre company. After having a meeting with Lorna (the Coliseum’s Chief LX) I have been searching through sound effect CD’s to create the sound design. 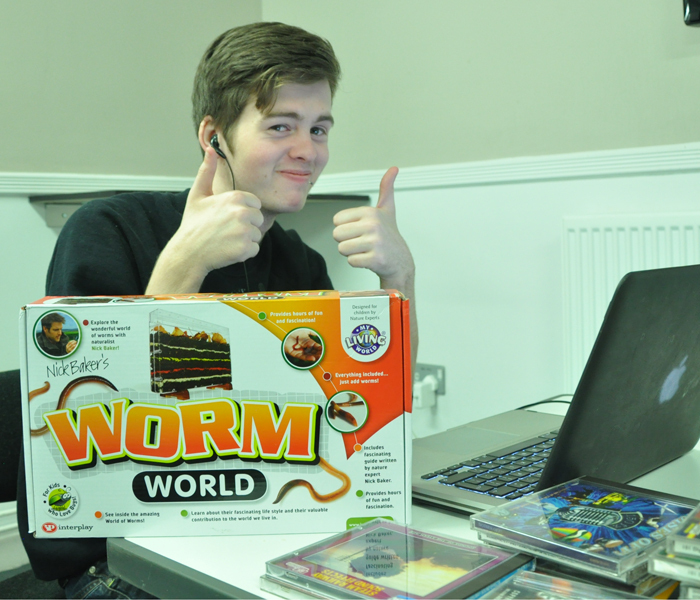 On a last note the worm farm arrived today- did you know worms have 5 hearts! The team’s hard work will eventually lead to a fully fledged production written, designed, produced, directed and marketed by Fresh Faced Theatre – keep an eye on our blog to see how their hard work progresses.